2.46 ACRES in Toano! Zoned A-1. Bring your chickens, goats or horses! 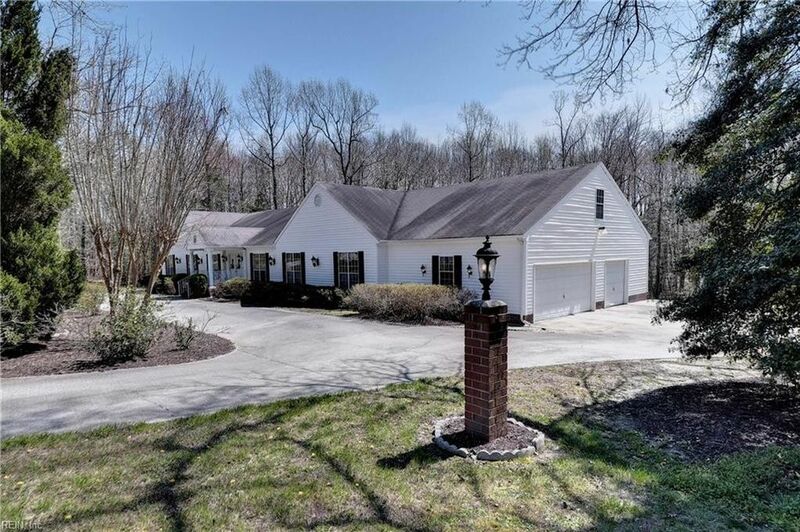 Well maintained 3,840 sq ft Ranch has 5 bedrooms and 4.5 baths! 3 Car Garage! Spacious grand rooms! Impressive Great Room has beamed cathedral ceiling and wood burning fireplace. There is access to a huge screened porch that overlooks green space and woods. Formal Dining with built in china cabinets & Living Room have parquet floors. Table space Kitchen. Master suite with a walk-in closet and with full baths. Lots of crown molding. Circular driveway. Country living yet so close to Williamsburg. Easy commute to Hampton Roads and Richmond.